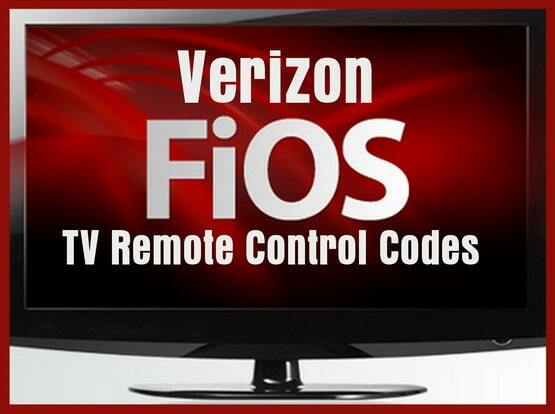 Need FiOS TV Remote Codes? You can use your Verizon FiOS Remote Control to control your TV. Below we have a list of remote control codes that will work with specific remotes on specific Televisions. These are the universal remote codes that work using either the Verizon P265 remote control, Motorola DRC800, Scientific-Atlanta AT8550 AllTouch, Philips RC 1445302, and the Philips RC 1445301 remote control. Lost your Verizon remote control? Buy a new Verizon FiOS TV Remote Control here for half the price Verizon would charge! NOTE: At the bottom of this page are the TV remote codes for the Verizon P265 remote control. Remote Codes for Verizon P265. The TV remote codes below are for the Verizon P265 remote control. NOTE: These remote codes are all 3 digit codes. Need help? Is your TV brand not listed? Please let us know and we can add it to the list. P235 verizon fios remote for Avera TV. The 10035 directv works for volume/power but need help with input switch! This was the Amazon $150 Avera TV 50″ lightning deal this year cyber monday. Can the fios P265v4 RC be used to control Comcast X1 cable box ? In other words to duplicate the IR functionality of the comcast XR11 RC or at least tv on/off, channel selection, audio volume.